This is a book i liked, but it was difficult to read. As everyone know (yes, i kinda think everyone know me here.) i am french, and english is not my mother tong. I'm very fluent in english, i can read and speak and write almost as good as english people (or so my english teacher says. ), but i'm not as fluent as everyone. Some of the vocabulary made me wonder who the book was about, especialy when they were talking about the - what i understand as - transgender character. I did enjoy the book. A lot. All that tension between the main characters, the birth of a romance each character thought it was "one way only". It was wonderfully written. The intrigue made me stay up late at night, just to finish one chapter, and the world building was wonderfull. I will definitly buy the second book as soon as i've some money to see what happens next. 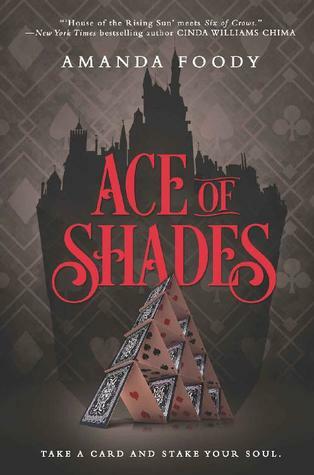 Sign into Goodreads to see if any of your friends have read Ace of Shades.